Norwegian company Norsk Hydro, which operates throughout the Brazilian aluminum chain, inked two deals with Pará state's authorities regarding the company's Alunorte refinery in that state. 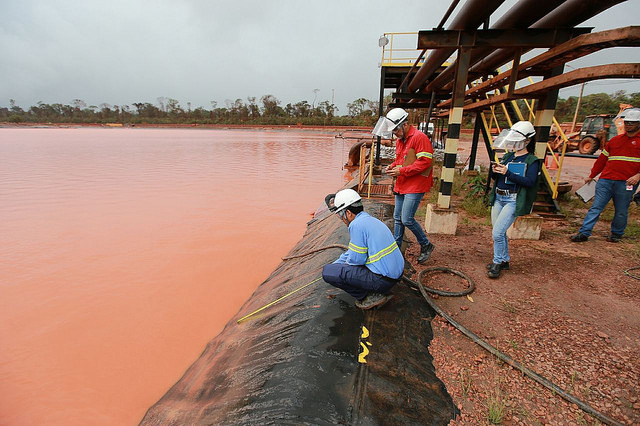 Alunorte, the world's largest alumina refinery, was ordered by Pará state authorities to cut output by 50% on March 1 following heavy downpours in mid-February that led to floods and discharges of untreated rainwater from the refinery (pictured). "This is a milestone towards resuming normal operation at Alunorte. We are fully committed to the initiatives defined in the agreements with the Government of Pará and (public prosecutor) Ministério Público, which are complementing the measures under implementation at Alunorte. This will support continued safe operations at the plant," John Thuestad, executive VP and head of Hydro's business area Bauxite & Alumina, said in a release. However, the deals do not set a timetable for the restart of normal operations at Alunorte, Hydro said. According to the company, the deals include a term of adjusted conduct (TAC) and a term of commitment (TC). "The combined investments, costs and fines are estimated at 160mn reais (US$38.9mn). Alunorte will also present a financial guarantee of 250mn reais to ensure fulfillment of the terms of the TAC," the company said. "This comes in addition to the already announced and ongoing investment in Alunorte's water treatment system, improving the robustness of the plant to withstand future change in weather conditions," it added. During the second quarter, Hydro completed investments of 500mn kroner (US$59.4mn) in increasing water treatment capacity by 50% to ensure continued safe and sound operations at Alunorte. According to the company, contracting and fabricating are in progress, and the increased water treatment capacity should be operational by early 2019. In Latin America and the Caribbean, Norsk Hydro also has operations in Argentina, Jamaica, Mexico, Trinidad and Tobago and Venezuela.